I just thought I would post and make you all aware that the Canon 1DX is now officially launched, and as it is a full frame, 18 meg professional DSLR its going to be a great addition to any photographers tool kit. The anticipated arrival date in most stores will not be until March next year, although there will be a worldwide roll out between now and then, so you may be able to grab one a bit sooner. This will definately be on my wish list. I think thought that the initial rush to buy this new camera will not only push prices high, for at least the next 12 months, but will also make supplies limited. So if you are lucky enough to get your hands on one, let me know. Over the last 10 years camera have come on in leaps and bounds, first digital then more and more megapixels and now with consumer cameras which cost under £200 having more mega pixels than some professional DSLRs, alot of people are wondering why do you need to buy a professional DSLR if you get the same results with a consumer level camera. What is the camera going to be used for? This one is simple to answer do you plan to use the camera for work or simply for fun. By work I mean take photos professionally, whether that be at weddings, portraits, events, PR, selling stock photographs or what ever. If you plan to use the camera for work then you have to buy a larger DSLR rather than a smaller consumer camera, and although the photo quality will be better, the simple fact that someone is paying you to take photographs means you cant really turn up with a small camera. Think of it this way in any professional work environment there are always the professional standard equipment, from kitchens to garages, hair salons to hotels, and photography is no different. You need to invest in your equipment in order to get the best out of your work. Now at first glance you may think that you can buy a consumer camera with the same amount of mega pixels as DSLR, and whilst on paper this is true in reality it is not, also as you go further up the professional DSLR ranges the amount of mega pixels far exceeds anything of a consumer level, such as Hasselblads having 31 mega pixels. Ok getting slightly off point, so back to mega pixels. The thing to remember is that the number of mega pixels is not the only factor to making a good quality photograph, and although it does play a part in the size a photo can be printed at it is not the end of the story. Think of it this way a truck has an engine size of around 10 litres with 800 bhp, whilst a car may only have a 2 litre engine with around 200 bhp, but which is faster? yes the car but it has less bhp and litres. This is the same rule that goes into photography, the whole camera makes the picture not just the amount or size of the sensor, component type and quality (including the sensor) all go into making the final photograph. If you look at my post about Canon vs Nikon the sample shot on that post way taken with a 5 mega pixel camera, nothing by todays standard but it was a professional level DSLR, and I printed that shot at well over A1 size without any problems at all. How you may be asking yourself, simple all the components worked together to make the final photo a higher qaulity shot that I would get with a higher mega pixel consumer camera. 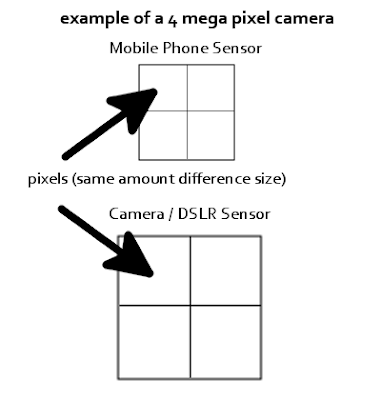 Also another issue with using mega pixels as a guide is that mega pixel is an indication of the size of the sensor, but not the amount of information it can hold, such as in a medium or large format camera. Firstly every single photographer on the planet knows that the most important thing in taking a good photograph is the glass (lens) you use, the better glass = better picture, after all everything in your photo is made up of light which has to go through the lens before getting to the camera sensor. Whilst there are some consumer cameras with interchangable lenses, most have a lens that cant be changed, which means you are limited to the speed and focal length of the in built lens, not to mention the quality. This one factor alone is enough to warrant buying a DSLR the variety of lenses out there means everyone will be able to get something for the type of photography they do. Whilst this choice is great it also allows the introduction of lenses of a more professional standard, such as Canon L series lens, you can also get lenses which are better in low light, known as faster lenses, you can buy longer range zoom lenses. Infact the world is your oyster and you are limited only by budget and your imagination. Canon has two current types of lens fittings EF and EF-S, EF is the full sized fitting used on all professional lenses, EF-S is the longer lenses used on non professional lenses. 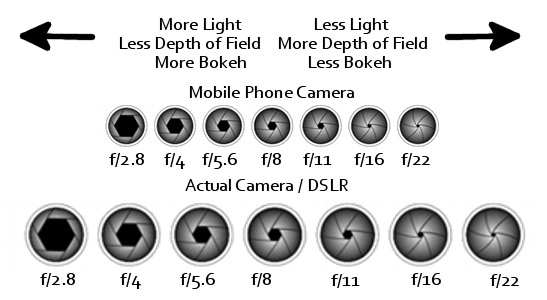 Higher end Canon cameras will only take EF lenses whilst the prosumer and below will normally take both EF and EF-S. This is due to the shorter mirror on prosumer models as the EF-S lenses back protrudes out more than the EF lenses. Now although size is not everything, if you plan to do any form of medium or large format photography, that is shots that you plan to print at a very large scale something over 1m x 1m then this is impossible with consumer cameras. Both medium and large format cameras require a sensor either larger than or to contain more information than a 35mm frame and you cant get this with consumer cameras. I must start first off by saying that the shots in this post are of my Canon 7D and whilst most Canon cameras all have the same layout, Nikons do not. This does not really make a lot of difference as the operation of most DSLR cameras are the same, and whilst the buttons may not be in the same place, they do operate in the same or similar way. Also another important note is that you can program the buttons on most DSLR to do different functions as you prefer, the diagrams and descriptions although are correct for the functions may not operate the same as your camera as these layouts are the default layouts. The way this will work is I will cover each side of the camera in turn, Back, Front and Top. I am not going to mention stupid things like where the batteries go, or how to attach a strap but the more necessary things as well as somethings that when I first started I just could not figure out. Also I have changed the names slightly to help you make more sense of things and not be too technical. The front of most DSLR cameras looks the same with the lens mount being in the middle with a release button to allow you to remove it. Again I will start at the bottom left of the picture and work clockwise. When you remove your lens and see inside your camera, you see the lens mirror. this is the bit that makes you camera an SLR and allows you to see through the viewfinder. DO NOT TOUCH OR PUT ANYTHING IN HERE. This is the sensor used by the camera when being operated by infrared remote control, it is not the same place that a remote camera cable release would use. The button your press to actually take the photo, at default settings pressing half way down will start focus and lock exposure, full press will take the shot. This little light is a dual purpose little fella, when using the self timer it flashes to let you know when the shot it going to be taken. It also works to reduce red eye in your shots. On all DSLR there is a mark to show you where to connect your lens. On some makes of Canon which take both EF and EFS lenses there are two marks. To connect a lens simply line up the make on the side of the lens with the mark on the camera and turn. On models with a built in flash there is a button to pop up the flash when you need it. 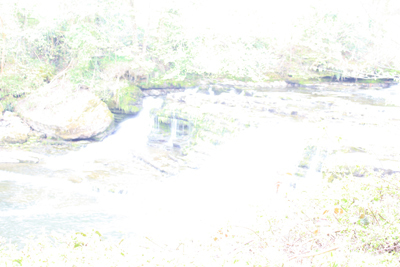 This is normally only needed in manual modes as the flash will pop up automatically when needed in auto modes. To the left of the lens mount there is a large button, this is to release the lens in order to remove it from the camera. Just press the button and turn the lens to remove﻿. Remove the lens cover and lens cap from your lens. Line up the white or red mark at the base of your lens with the white or red mark on the lens mount on the camera. If the marks are lined up correctly the lens will just slip onto the camera, do not try to force it, if it does not just slip on you have not lined it up correctly. Now turn the lens, normally clockwise, until it clicks. Your lens is now on your camera. On certain DSLR such as the Canon 7D there is a depth of field preview button, pressing this shows you the best depth of field for your chosen settings. Most of the camera buttons have a dual function and in order to make adjustments you need to use either the rear dial or the top dial depending on what you want to change. OK there is lots that can be said about camera lenses, good bad and ugly. It is not my aim on my blog to get really techical about lenses I am simply going to help you by giving you some basic necessary information to help you out, and in most cases this info applies to both video cameras as well as DSLR. All telephoto or zoom lenses have a zoom ring, but on some makes of lense the ring turns in a different direction to others, noticably Sigma lenses turn the opposite way to Canon lenses in order to zoom. NOT all lenses have a form of Image Stabilizer on them, and on some its called something different such as VR on Tamron lenses. Again for this I will start at the bottom left of the diagram and work clockwise. This switch is used to turn on or off the image stablizing functions of the lens, again remember this switch may be called something different on your lens but will work in the same way. Switching this on will give you a bit of assistance when hand holding the camera, normal this is around 1 stop of light, but put simply means you can shoot in a slower shutter speed or narrower aperture than without using it, lettginy ou take more professional shots. I would highly recommend taking a look at David Petersons Book as it is full of very useful tips and tricks to get more out of your photography. NOTE – remember when using a lens with built in stabilzation that when ever you mount the camera on a firm surface or a tripod turn off the IS in order to avoid it interferring with your shots. The is the mark that you line up with the matching mark on your camera body to mount your lens. 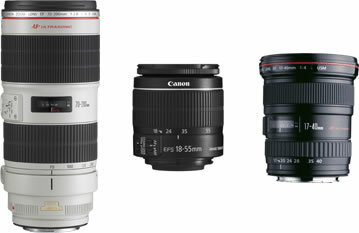 In canon lenses it also indicates the of lens. EF lenses are RED and EF-S lenses are white. This is the switch you use to switch the lens between Auto and Manual Focus. Again remember that no matter what settings are on your camera it will not fiocus if this switch is set to Manual. To manually focus your lens after switching this to manual use the Focus Ring. This is used to focus your camera on yoru subject, only works after you switch the Auto / Manual Focus Switch to manual. Then simply turn the ring as you look through the view finder or at the Live View screen to focus. This ring is used to bring your subject closer or further away. Please note that some lenses work in the opposite direction to zoom in or out. I thought I would briefly touch on the use of filters with your lens, filters are a way to change the light entering the camera and can be used to simply add colour, or to control the light entering the camera in a variety of different ways, the most common filters for controlling light are known as an ND or neutral density filter and a polarizing filter. Although filters are more common in landscape photos they can be used in any environment to enhance your shots. My first suggestions and HUGE piece of advise which I am happy to repeat is to fit a screw on UV filter to your lenses, this will not change anything in your photographs but will protect your lens from getting scratched, and being that it is cheaper to replace a screw on UV filter than your lens this makes sense and is exactly what I do. Filters are generally attached to the front of your lens as either a dual threaded screw on fitting which simply screws directly onto your lens front, or in filter holder arrangement such as Cokin holders, these attach to your lens by an adapter ring screwing onto your lens, on this is attached the filter holder into which you put your filters. The Cokin filters are all the same size for the holder normally A or P size, the filters simply slide into the holder and you use the same filter for each lens, and you only need to buy different size adapter rings as per the thread size fo your lenses. 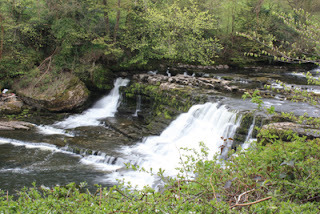 So in short buy and keep a screw on UV filter on your lens, then buy a Cokin P filter holder and adapter ring, and simply buy cokin P filters as you need then, cokin filters are numbered so for example a P164 is a Circular Polarizing filter. 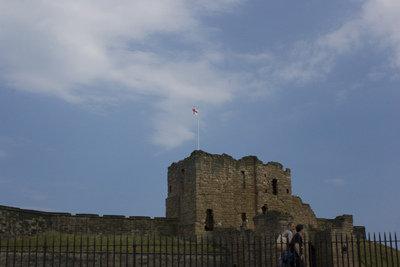 A very useful tool in your photography arsenal is a set of ND filters. An ND filter will block out light entering the lens without effecting the colours of the photograph, these are normally number and the higher the number is more light will get blocked by the filter, yet at all times retaining the colour of your photograph. As you can see from the above shot trying to capture some scenes during strong daylight is impossible and you end up with a very over exposed shot. Now if we look at the second shot by adding an ND filter, you can clearly see that the light in greatly reduced but the colours remain. Circular Polarizing Filters known as CPL filters reduce the amount of reflective light in your photo as they do this by removing white light from the photo they are also used to enhance the sky or to remove the reflection from a pond, glass or anything else. As you can see in the above shot, although the colours are generally ok the sky is totally washed out and we cant make out the clouds. Now if we look at the second shot the colours are less washed out and we can now make out the detail and clouds in the sky. Remember though when using a polarizing filter it will effect your whole image and unlike ND filters they do have an effect on the colour of your shot. The way this will work is I will cover each side of the camera in turn, Back, Front ,Top and left. I am not going to mention stupid things like where the batteries go, or how to attach a strap but the more necessary things as well as somethings that when I first started I just could not figure out. Also I have changed the names slightly to help you make more sense of things and not be too technical. The large screen on the back of your DSLR serves two purposes. One is very simply it allows you to view shots you have taken after you press the Playback button, and by using the Adjust / Scroll wheel you can view your shots and then zoom in or out using the Zoom in or Zoom Out buttons on the right above the big wheel. Note when you zoom into an photo and view it on the screen you can use the View Joystick to move around the image. HUGE note to get Live View to work on the LCD screen you actually press the Start / Stop button during shooting mode, just make sure the little outer ring around the Start / Stop is pointing at the white camera. Press the Set / Enter button then select enable to activate live view, press the Set / Enter button. Press the System Menu button to come out of the system menu. Does exactly what it says on the tin, deletes your photos. Go on guess, yes it shows you photos you have taken on the big Live View screen, not quite 3D IMAX but at least you know what you shot. On first press you see the information about the shot your are taking, such as colour temp, white balance as well as how much space you have on your card and how many shots you can take. On a fourth press you turn off the back LCD screen all together. When in playback mode this button gives your either on screen info about the shot or pressed again gives you more detailed shot information. This button allows you to change how your photo will turn out whether you are shooting a landscape, portait or want to change the sharpness. This is the main menu button on your camera and gets you into the main system menu, where you can change all sorts of good things and some not so good things. This button gives you access to the quick menu, where you can quickly change many camera settings. To scroll around the screen use the Qucik Menu / View Joystick and then use the main dial or Adjust / scroll wheel to make changes. This is a kinda cool button it allows you to quickly set you camera to take both a RAW and Jpeg photo at the same time, can save you alot of time. Although my advice is to always shoot in RAW. D’oH this shows you what you are taking a photo of, that is unless you are using the Live View Mode. The little outer ring switch to the right of the view finder is the selector to set the camera to either shoot still photographs or record HD video, white for photos red for video. The button marked start /stop to the right of the view finder is the button that does one of two things. This button starts the camera focussing, it does not take a shot it simply gets the camera in focus ready to take a photo. Great for use if you are taking shots of things that will move. This button allows you to lock the exposure for a given shot, simply press the button and the green light in the viewfinder will show to show you exposure is locked, when you take a photo it will be taken with this exposure setting. This button also acts as a zoom in or magnify button during playback. This button lets you select the area to focus on when used in conjunction with the Main Dial on top of the camera. Simply press the Focus Mode button them use the Main Dial to select the area to focus using the view finder. This button also lets you change the focus mode and lets you scroll through the active modes on your cameras to change focus mode. Look through the view finder and press the Multi Function / Manual Focus Select button on top of the camera (next to the shutter release), for each press of this button you will see the focus point and mode change in the viewfinder. Just keep pressing it until you see the desired Focus Point / Mode in the view finder. Once you find the desired mode, simply use the Main Dial on top of the camera to move the point to where you want to focus. When in quick menu after press the Quick Menu button this joystick allows you to select the option you wish to adjust. Whilst in playback this joystick allows you to navigate around a photograph after pressing the Zoom In button. This joystick can also be set to allow you to select a focus point on the screen. This is kinda like the save button, pressing it selects menu options. This is the companion to the main dial, it allows you to change camera settings, as well as being used to scroll through photos during playback. This shows when the camera is doing something, such as writing to the card, cleaning the sensor, etc. This switch when pushed to the right stops you from accidently making camera setting changes. NOTE the quick menu adjustment and on screen options still work with this in the Lock position, the main purpose of this switch is during shooting as it stops you making adjustments via the top LCD screen. There is a small light sensor just to the left of the big adjust / scroll wheel this is used by the camera for taking light readings. It is mainly used during exposure setting in non manual modes and in auto mode it also sets the LCD screen brightness. The way this will work is I will cover each side of the camera in turn, Back, Front, Top and left. I am not going to mention stupid things like where the batteries go, or how to attach a strap but the more necessary things as well as somethings that when I first started I just could not figure out. Also I have changed the names slightly to help you make more sense of things and not be too technical. The top of most DSLR cameras looks the same with the Hot Shoe in the centre and the LCD screen to one side. I am going to start from the bottom left of the picture and work clockwise, ok so here goes. 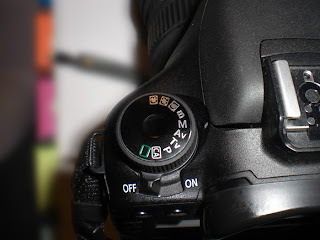 This is the main on / off switch on your camera, and although your camera may go into powersave mode after a period of non use in order to turn it off completely simply switch this switch to off. Then back to on to switch it on. This is the mode your camera will operate in simply turn the dial to the desired mode, everything from Full Auto right up to Full Manual. To select a mode just line up the indicator with the small white line on the camera body to the right of the dial. I am going to list the selection here, but note these are specific to Canon and whilst other makes have exactly the same options they are labelled differently. Although they will function in exactly the same way, I will start at the green square and work anti-clockwise. This is fully automatic mode, the camera will take care of everything just point and shoot. This stands for Creative Auto, and whilst the camera will take care of everything you can change some setting to be a bit more creative, such as depth of field, picture style, etc. This is the Program AE mode, it is the next best thing to manual, in this mode the camera sets the basic exposure setting shutter speed and aperture, but you set everything else. This stand for Time Value and in this mode you set the shutter speed and the camera automatically sets the correct aperture, again you have full control over everything else as this is classed as a manual mode. This stands for Aperture Value and is the opposite of TV in that this time you set the aperture and the cameras sets the correct shutter speed, again you have full control over everything else as this is classed as a manual mode. This is Manual mode and this is for big boys only. 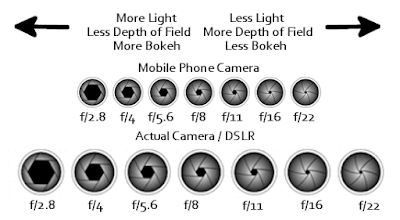 In this mode the camera does not set anything, its all doesn to you, aperture, shutter speed and everything else. This is fully manual mode, and my personal choice. This stands for Bulb and in this mode the camera opens the shutter when you press the shutter release and closes it when you let go. In this mode it is important to use a remote trigger to avoid camera shake. These are custom modes and all you to save specific camera setting and recall them simply by selecting the option such as C1. for example you can setup you camera perfect for night photography and save it under C1, then simply select C1 everytime you want to take night photos. This allows you to change the white balance settings and metering mode of the camera. This allows you to select the auto focus mode type, such as spot, centre. This button also lets you change how many shots are taken when you press the shutter. This button works differently depending on the chosen camera mode, but it is mainly used for setting the focus mode of the camera. After you press this button you can choose the focus mode by pressing the Focus Mode button (third button top right on the rear of the camera) repeatedly until you get the desired focus mode. This is one of the two main dials on the camera, whilst the larger dial on the camera rear is the main system dial, this dial allows you to change other settings such as aperture, shutter speed and basically works with the large dial for all camera buttons that are dual function such as when you press the AF Mode button. This button allows you to change the ISO of the camera as well as make adjustment to the cameras flash compensation. This turn on and off the back light for the top LCD screen. This is the main setting screen, where you can view and change settings such as aperture, shutter speed, ISO, etc. When ever you use the view finder it is factory set for most people with normal eyesight, however if you where glasses or have poor eye sight you may find that you think shots are in focus when in fact there not. To combat this you can adjust the viewfinder by moving the Dioptric adjuster to match your eye sight and bring everything into focus. This is where an on camera flash connects, its also where any off camera flash accessories connect to such as triggers or off camera flash cords. HUGE IMPORTANT NOTE – check in your user manual before connecting anything here, check for the trigger voltage and that it does not exceed that advised for your camera. For the Canon 7D this is 5v but will vary from camera to camera. But check before you attach anything in order to avoid damage to your camera. First off thank you for visiting my new blog. The idea of this blog is to share both my knowledge of photography, everything from cameras, bags, lighting, locations, shutters to studios and everything in between. So if you have anything you are not sure about in the world of photography dont be afraid to ask I am here to help. I am also going to share some information which I found hard to find when I started in photography and hopefully put everything in one easy to find place for you to enjoy and share. Also I am going to share experiences from my photo shoots, both with and without models, on location, in studios and what ever else I get up to. Put simply this is a blog about my journey and experience in photography, as I learn more stuff I will share that with you, as I do stuff I will share that too. Another point to remember I work with a Canon 7D camera and being a Canon certified professional means I will be bias towards Canon, but everything in general is the same on DSLR’s whether its Canon, Nikon, Sony, Hassleblad or what ever else you use. Ok so lets get this party started. 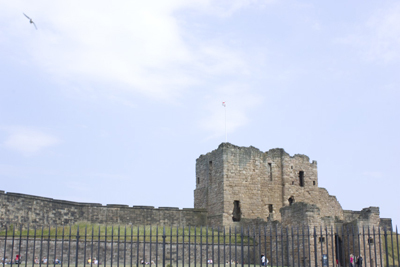 I am Sean J Connolly and I work as a professional Advertising Photographer specialising in advertising, editorial, fashion photography, I am based in Richmond, North Yorkshire and cover all Yorkshire, North East and anywhere else I am needed. I have worked professionally full time now for about 2 years, but have been in photography for about 10 years. I must say I love the challenge it brings, as there are lots of good and bad photos out there, so taking that special shot is something I pride myself on. You can find out more about me from any of the following links. Feel free to get in touch, whether you are a fellow photographer, make up artist, model, stylist or looking for a photographer. I promise I wont bite.